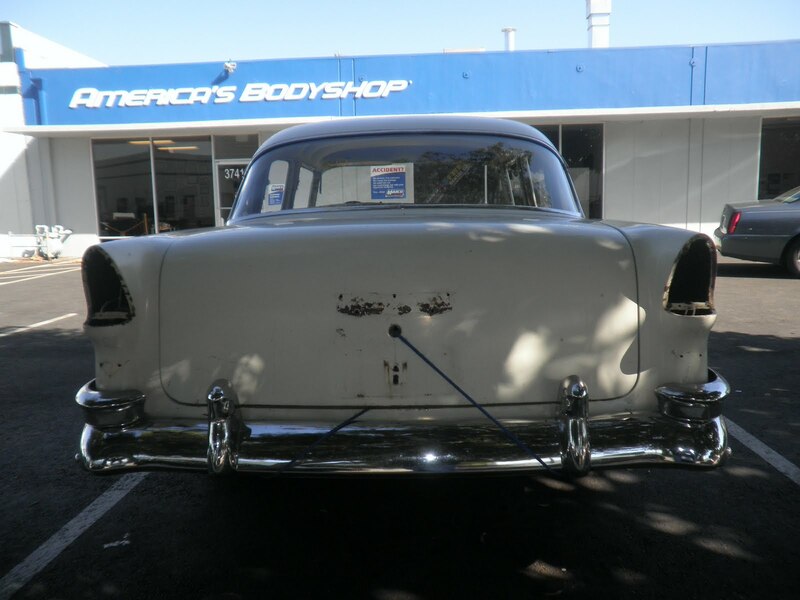 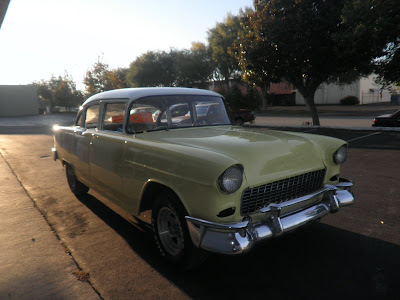 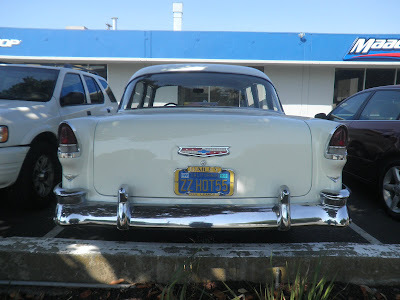 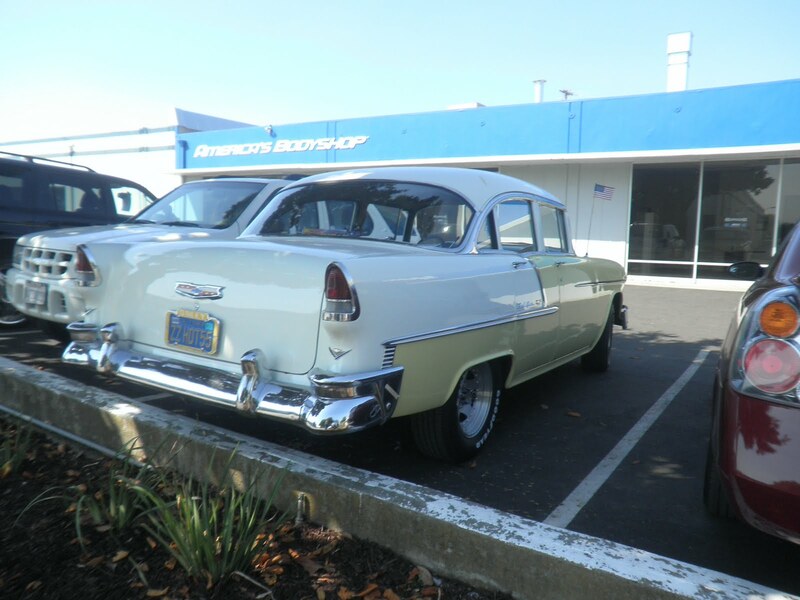 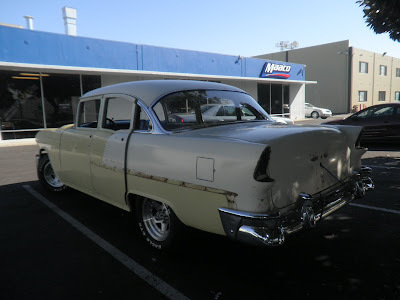 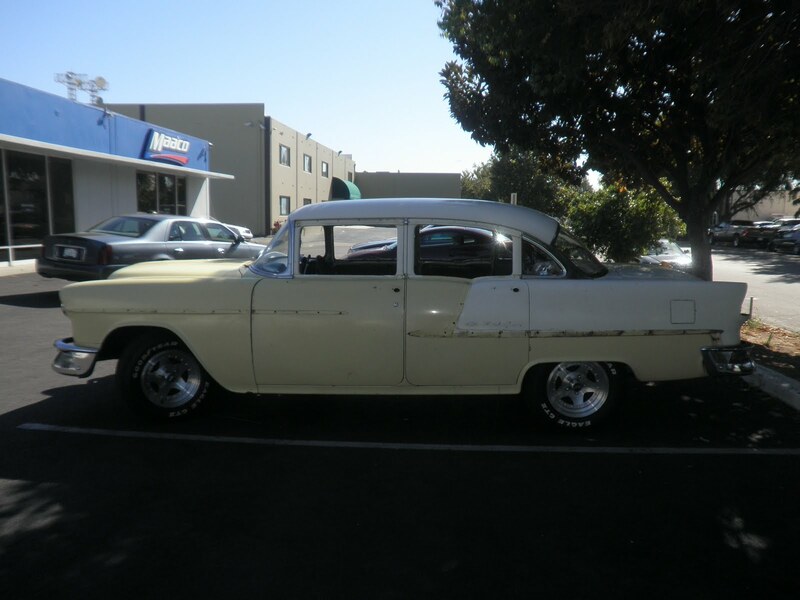 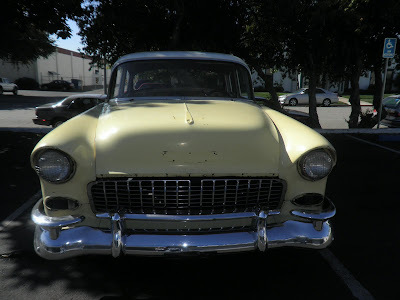 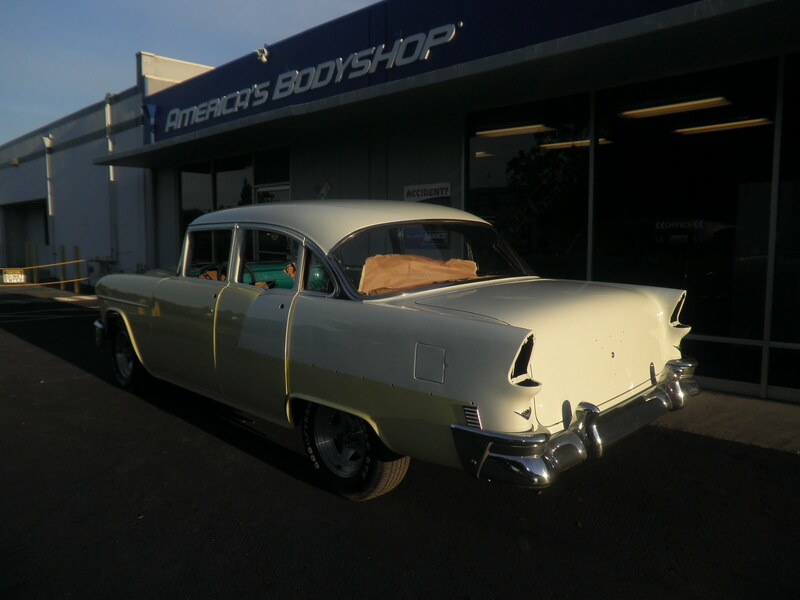 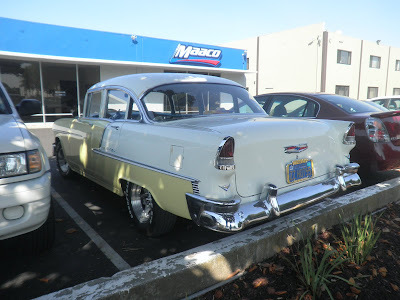 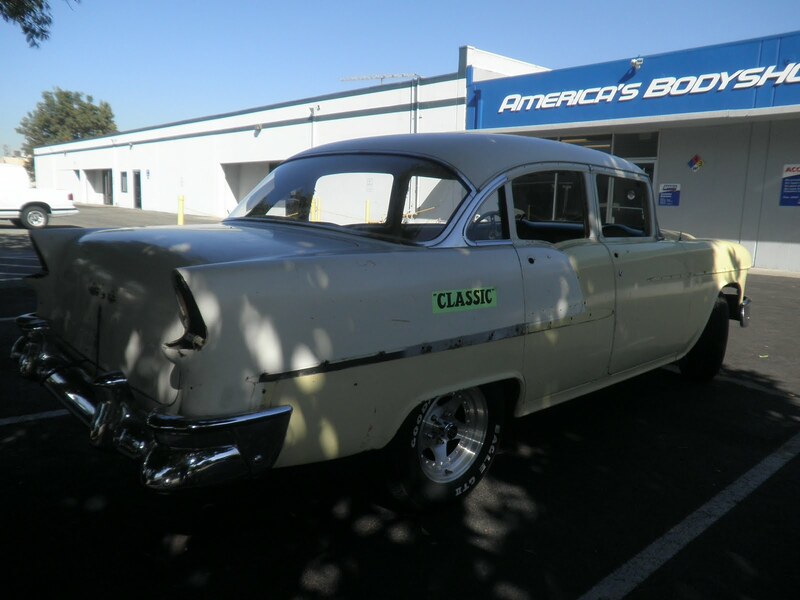 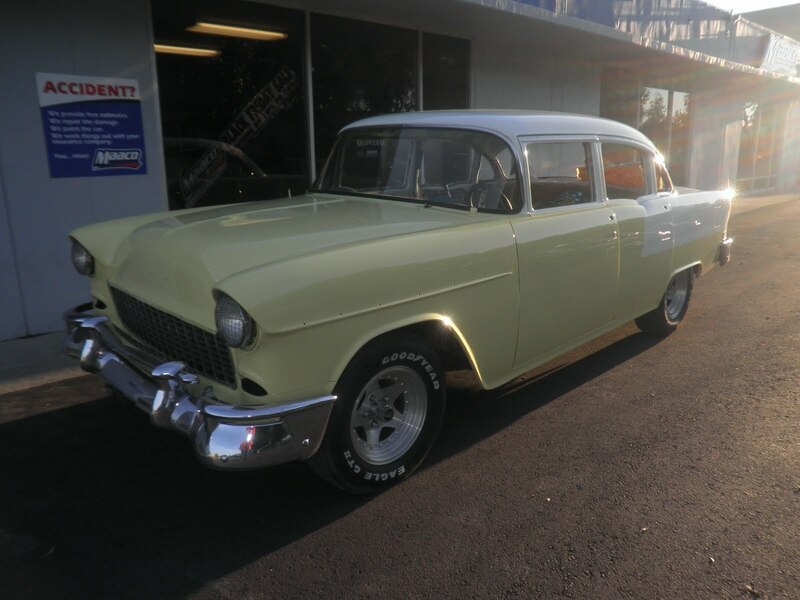 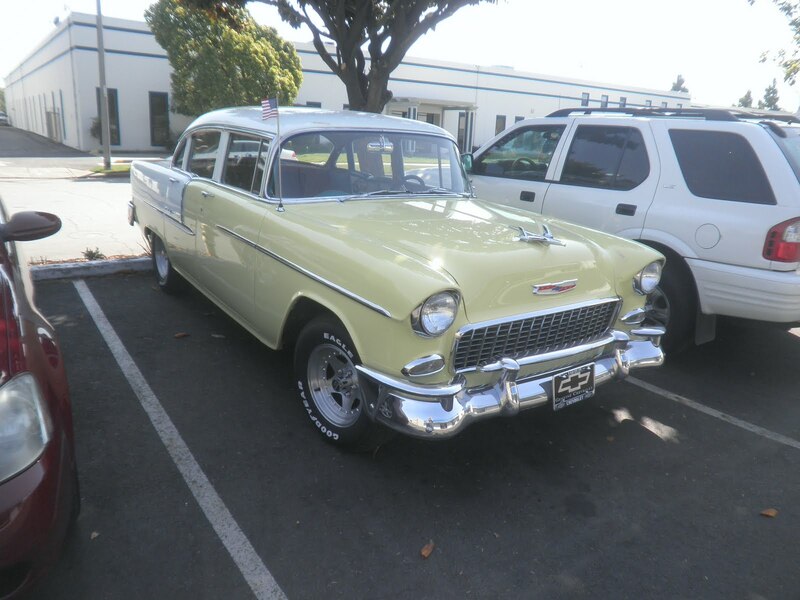 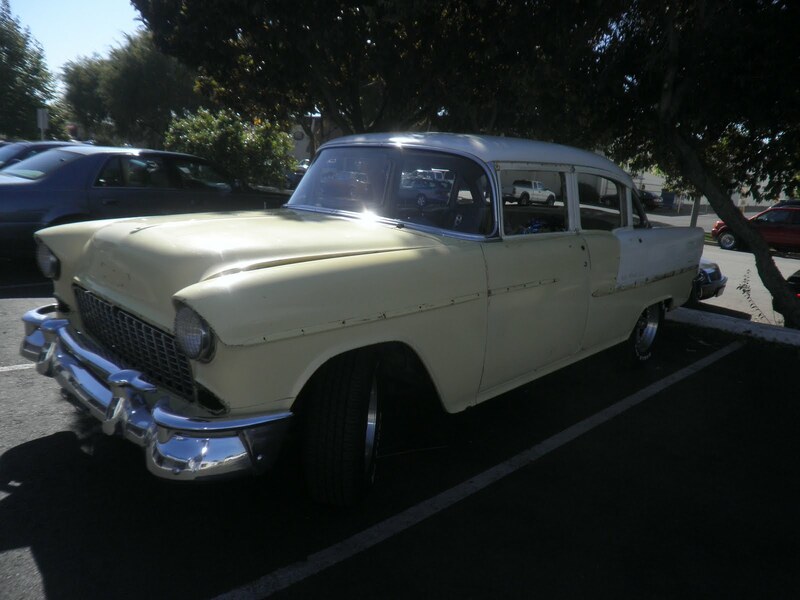 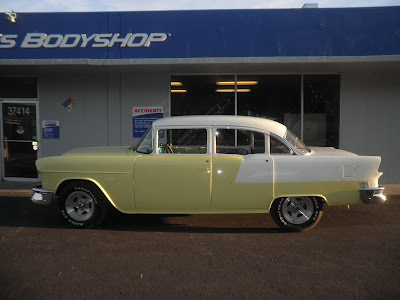 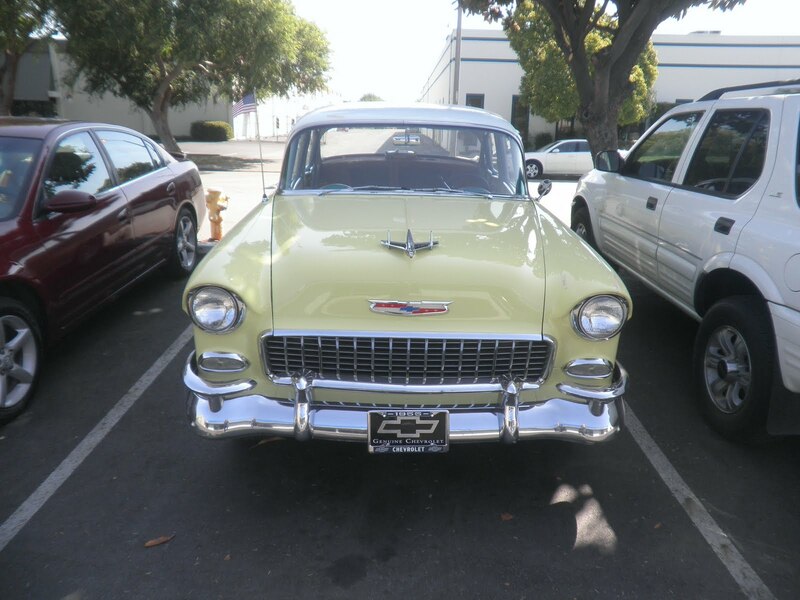 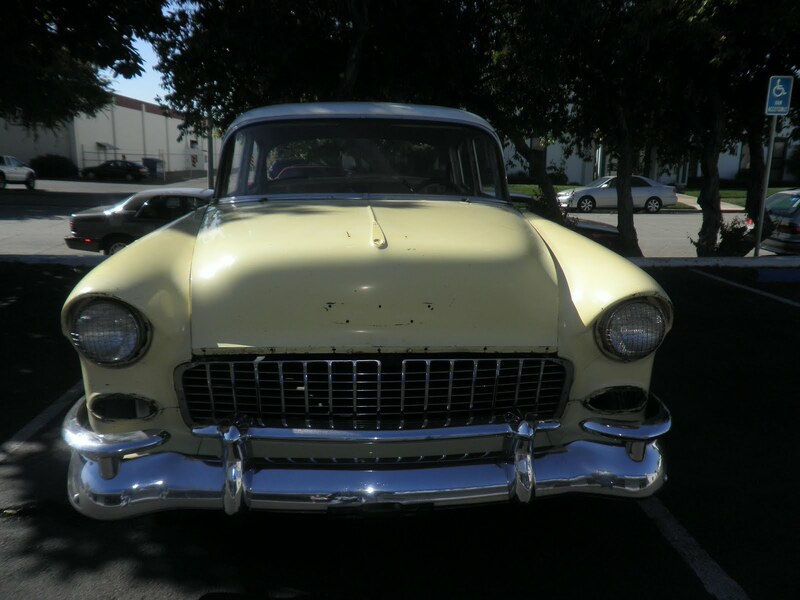 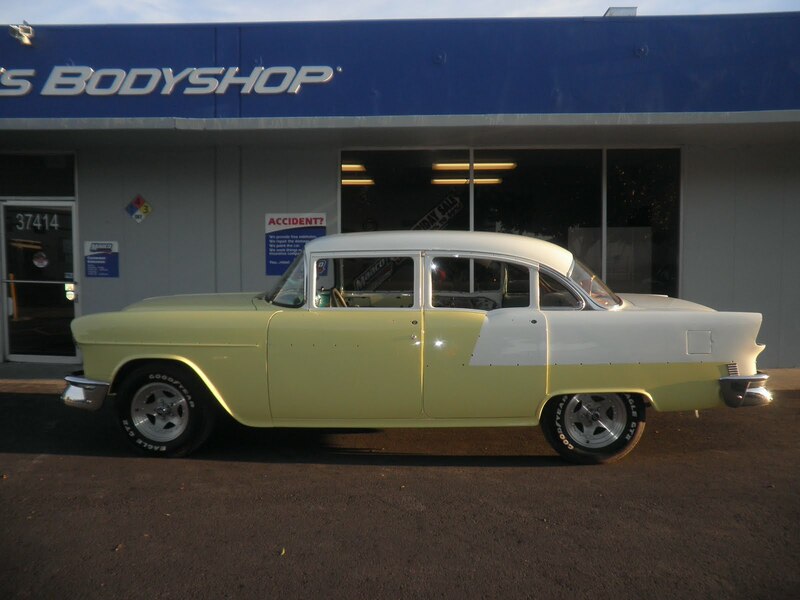 Almost Everything's Car of the Day is a 1955 Chevrolet Bel Air. 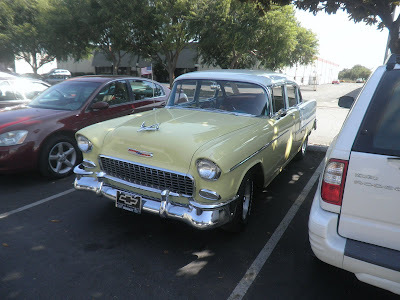 This car starts up immediately with a quick turn of the key and drives great. 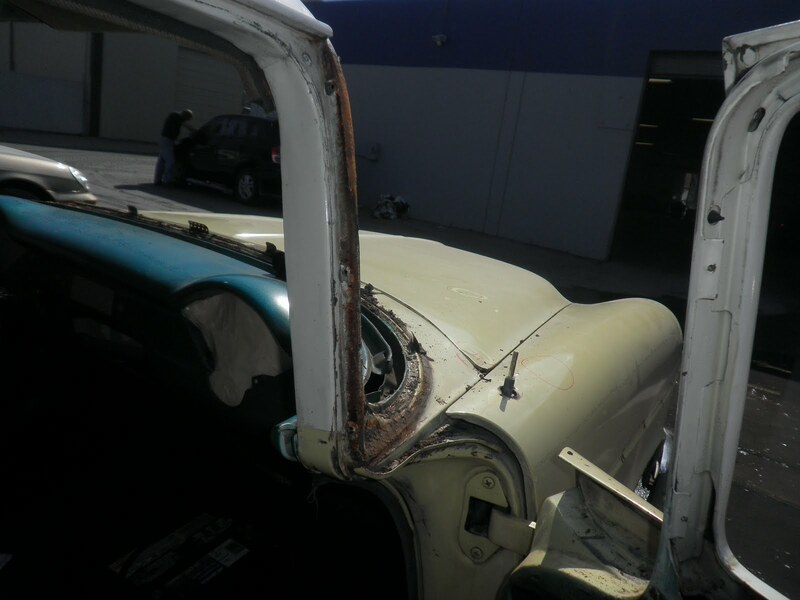 The engine is very strong but the exterior was overdue for restoration. 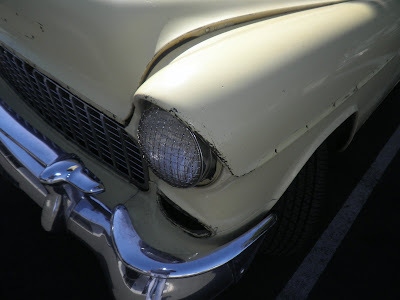 Rust was beginning to peek through the paint in areas and there were lots of chips, scratches & dings. 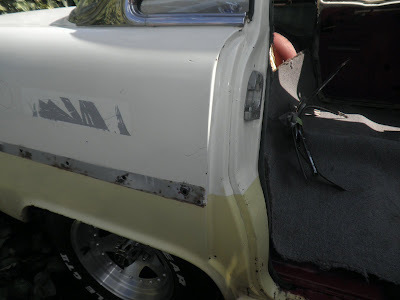 Almost Everything Autobody painted the car in the original 2-tone colors & pattern. 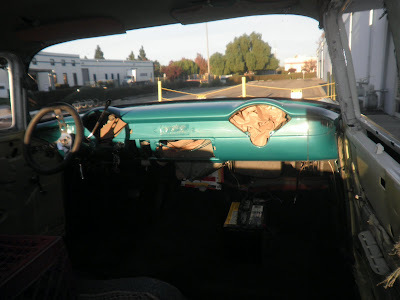 We also painted the dash & interior trim with the original metallic green. 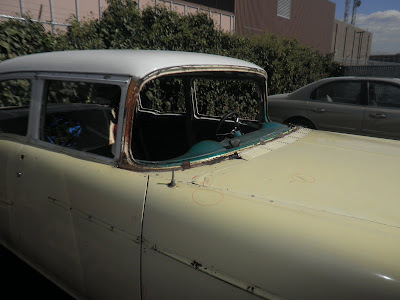 The owner replaced all of the chrome trim himself. 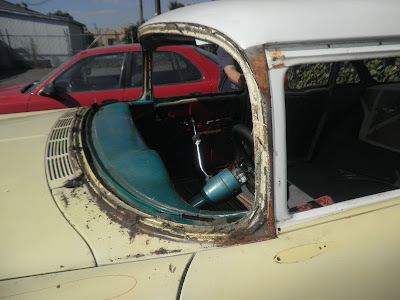 After this, a new interior.